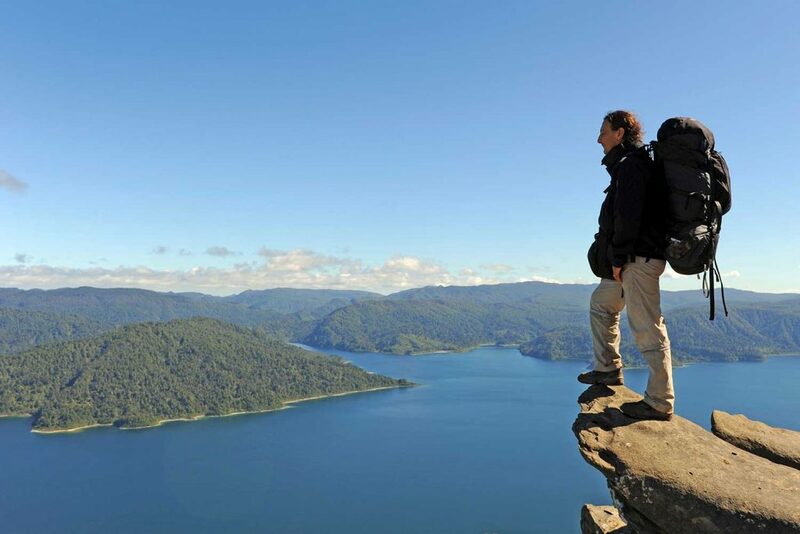 While New Zealand hosts a plethora of amazing walking experiences, you may be asking why we think only nine of them to be great. Well, it’s not us. 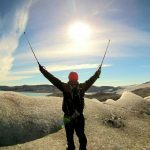 We believe they are all great and we have been working hard on expanding our range of walking holidays in New Zealand to encompass as much of these twin islands as we possibly can. 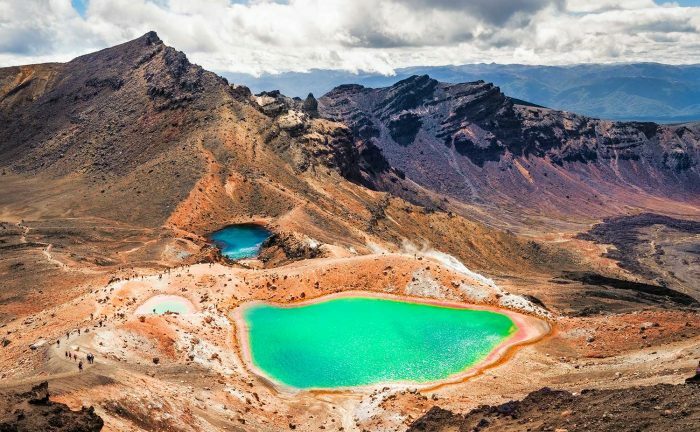 However, the New Zealand Department of Conservation (DOC) has named nine trips in particular as their ‘Great Walks,’ those that they feel are unmissable. 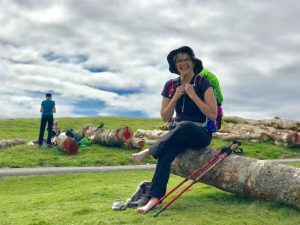 While discussions can be had on whether any of the non-great walks are actually better than the great ones, here are the original nine, to give you a flavour of the best of New Zealand walking. 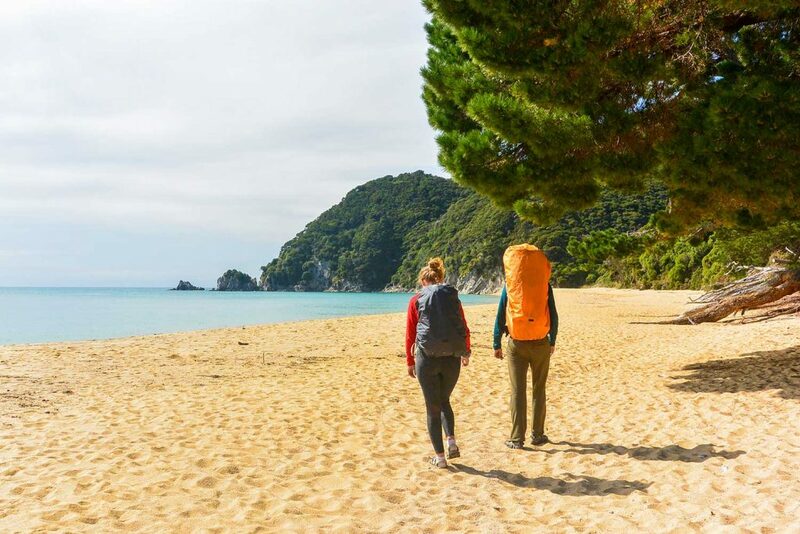 Sitting at the very top of the South Island, the Abel Tasman Track leads you through dense tropical forest and along some of the most beautiful, unspoiled beaches you are likely to encounter anywhere. Walking through the Abel Tasman National Park is a dream, with crystal clear streams tumbling into the sea, fur seals basking on the rocks and even colonies of Little Blue Penguins. The Abel Tasman Track is 60km over three days of walking and is a linear walk, so you will need to arrange transport to and from the start. However, with Macs Adventure, we arrange all of that for you, so you can simply turn up in either Nelson or Motueka, and we will do the rest. 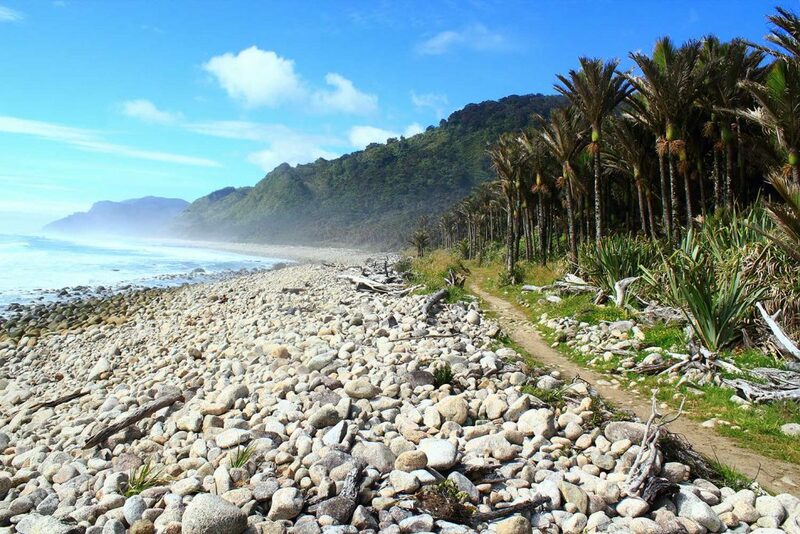 Up on the North West Coast, you will find the everchanging scenery of the Heaphy Track. This trail delivers a different experience on every day; such is the variety of landscapes it traverses. The trail winds through mountain passes, across expanses of grassland, through tropical rainforest and eventually to palm-fringed beaches. 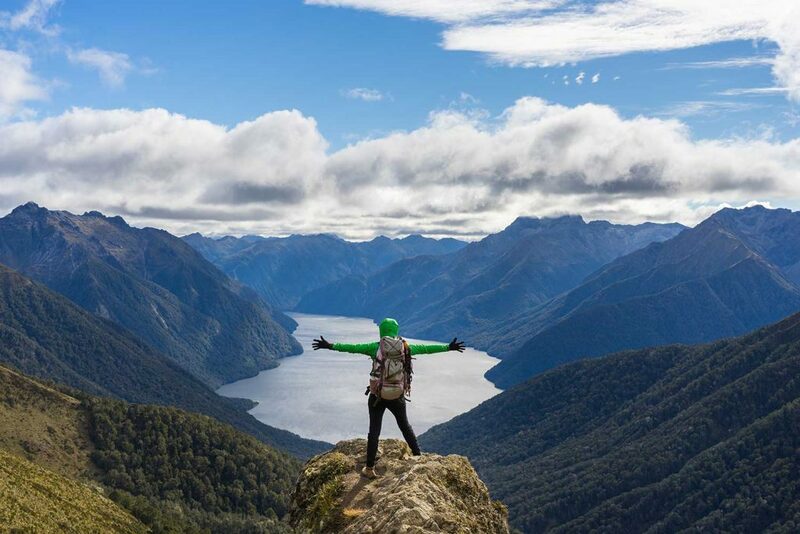 The trail goes through Kahurangi, New Zealand’s second largest National Park, and gives you a great chance to see Great Spotted Kiwi’s as well as marvelling at the otherworldly geology on display throughout the trip. 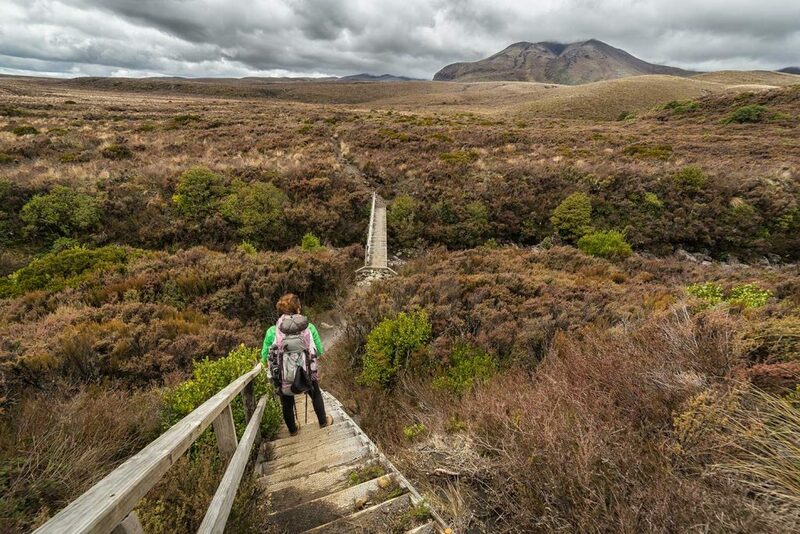 The Heaphy Track is 82km of tough walking over 4-6 days. Again, this one is a linear walk, so you will need to arrange different transport from the start and end points of the trail. 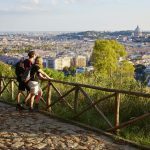 This is the short hike with extensive views! 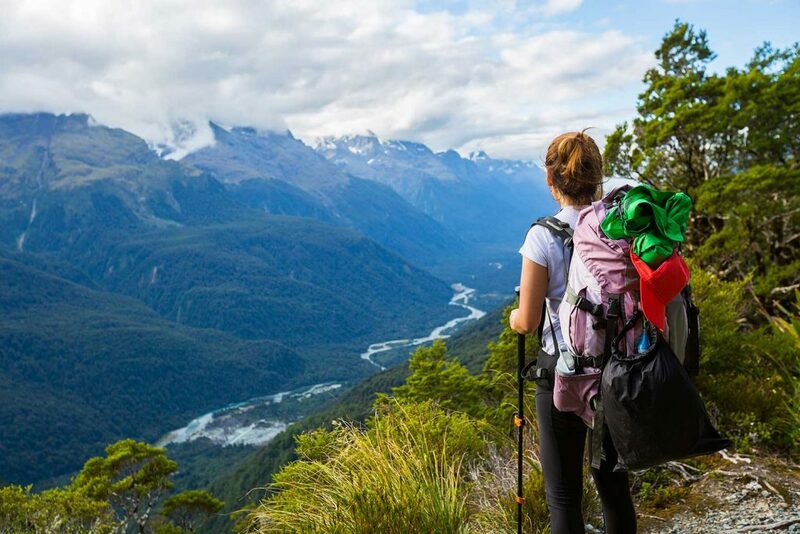 The Routeburn Track takes you through two National Parks, Mount National and Fiordland, and gives you unparalleled views of the best mountain scenery in New Zealand. You weave through peaceful alpine meadows, gardens, waterfalls and fairy glades, catching views of the surrounding peaks in crystal clear, mirror-like lakes. The Routeburn Track is relatively short, coming in at only 33km over three days of walking, but don’t let this fool you, it is a tough 33km! However, as with all of these trails, the extra effort is more than justified in the sense of achievement and the stunning views. 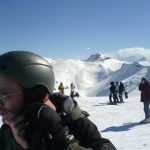 A linear path, staying in DOC huts again, but Macs Adventure can organise this one for you too, including all the transfers, kit hire and logistical support you could ever need. The Milford Track is New Zealand’s oldest walking trail, having been established over 150 years ago and it is arguably the jewel in the crown of the walking trails. So remote is this trip that to access the trailhead, you have to take a boat ride down Lake Te Anau, a beautiful way to access this hidden hiking paradise. Similar to the Routeburn, you are immersed in a world of high peaks, flawless lakes and sweeping valley views. One of the many highlights is walking past the Sutherland Falls, the highest waterfall in the country. 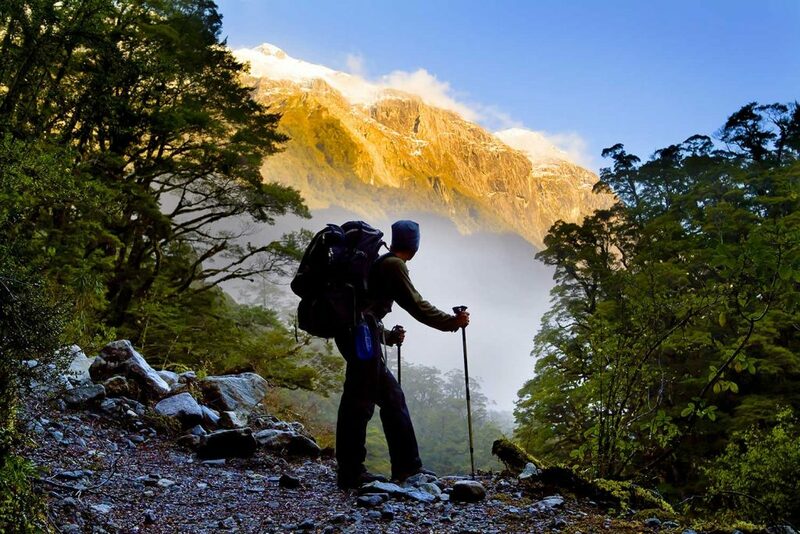 The Milford Track is a four-day hike, over 53km and is not such a tough experience as the Routeburn. The logistics are a little more complicated, with a boat ride up Lake Te Anau and pickup from the other end in Milford, but of course, Macs Adventure has this all covered for you, and we will even throw in a cruise in the genuinely awe-inspiring Milford Sound at the end. Can’t say fairer than that! The Kepler Track is the third on the list that takes you through different vistas of the Fiordland National Park. However, this one is a very different experience. While the Routeburn and Milford Tracks have been established by ancient Maoris crisscrossing the islands, or by pioneers seeking to explore, the Kepler is custom designed by the DOC to show off every aspect of Fiordland. 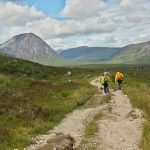 The route passes through eerie moss-draped forest, high grassy plains, massive mountain ranges, tumbling waterfalls and vast valleys with every boggy section boardwalked and every river bridged. The Kepler is a 60km trek over four days, but because of its custom design, it is the easiest of the Fiordland trails to walk. 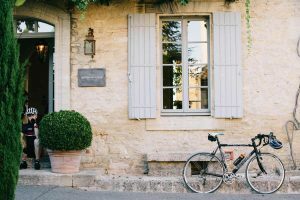 This is a more circular walk too, but there are still a few transfers and boat trips to organise, but Macs Adventure can do this one for you also, with all the bells and whistles thrown in. Nestled in the very south of New Zealand you will find Stewart Island, a peaceful little enclave with less than 400 permanent residents. Human residents that is, because the place is bursting with wildlife. 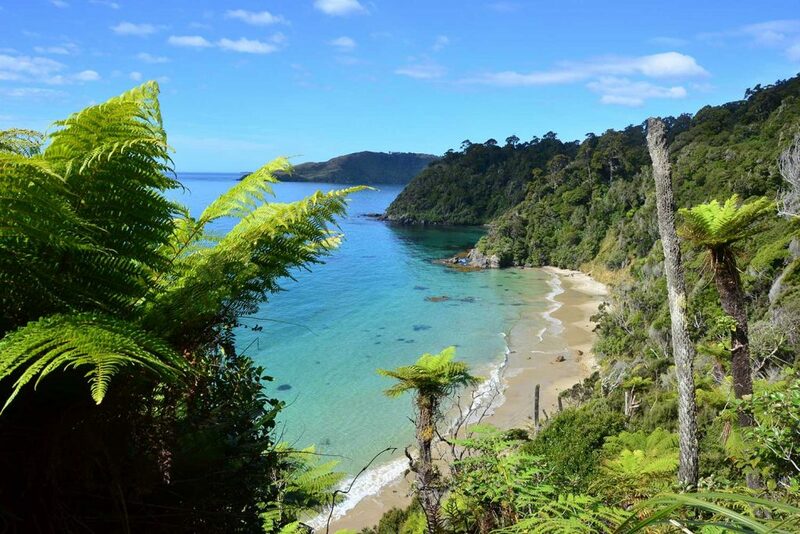 Stewart Island has a rich podocarp forest (a kind of conifer) which is a bird sanctuary due to the volume of birdlife that lives here, so while you are tucked up in your DOC hut at night, you will hear the screech of owls and kiwi birds. The Rakiura Track is a three-day trek over 32kms and provides some pretty tough walking, so again, don’t let the short distance fool you. This is one of the less walked Tracks in New Zealand and is a little slice of peaceful heaven, dotted with fascinating Maori history and delightful scenery. Walking around Lake Waikaremoana is an almost fairytale experience as you walk through lush green rainforest, often shrouded in mist, giving it a slightly spooky feel. This is traditional Maori land, and the Tuhoe people have lived on these lands for centuries. 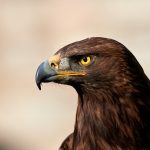 Their spiritual link to the land and dedication to preserving the natural wonder means that this is part of the country that has been completely kept away from development and deforestation. This means you are walking through the New Zealand of old, preserved entirely, totally wild. 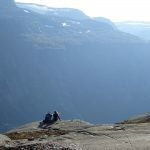 This is a 3-4 day hike which is over 46km. Again, the terrain means that 10km per day is pretty tough going even though it doesn’t sound it on the face of it, it is worth it to immerse yourself in this pristine wonderland. No walking on this great walk! 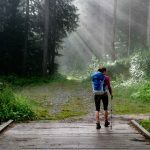 When is a Great Walk not a Great Walk? When it is a canoe trip. Yes, confusingly, one of the Great Walks is actually a trip by boat. You can canoe or kayak down the Whanganui river, paddling down steep-sided canyons into the pristine forests of a massive National Park. Again, the peace and tranquillity on this trip are immense, and you are paddling away from civilisation, giving you the feeling that you are the first to explore these wonderous parts of New Zealand. 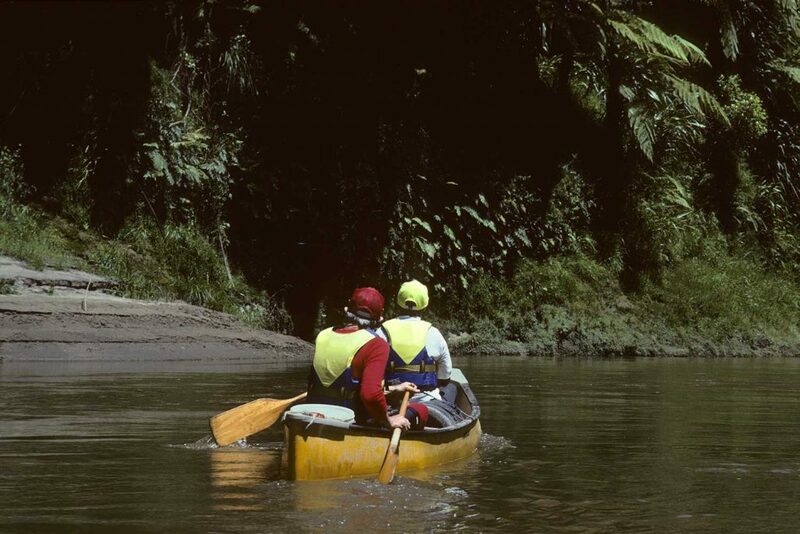 The trail takes five days paddling down 145km of the Whanganui River. Obviously, being a river trip, you start and finish at different points, so transfers will be needed to get to/from Taumarunui and Pipiriki, which have limited options for accommodation. Fancy walking round an active volcano? Who wouldn’t? Well on the Tongariro Northern Circuit you walk around the slopes of Mount Ngauruhoe, and if you are feeling extra active (and brave), you can climb to the summit. Expect to see lava flows, craters and pits where the ground has exploded. However, it is not as hellish as it sounds. This incredible lunar landscape is dotted with wild rock formations, wild open plains and milky turquoise volcanic lakes. It is an experience not to be missed. 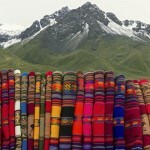 The trail is 41km and takes four days to traverse. This trek in the heart of the North Island starts and finishes at Whakapapa Village, so it is a circuit for a change! You can park at the start, though the carpark does get incredibly busy at times. Each of these routes are looked after by the DOC, and the journey involves staying in their remote huts while out walking the trails. 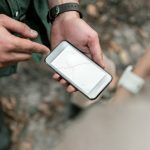 While the huts are remote in location, they are modern, clean and comfortable, each with their own DOC representative to help you with any issues, or to answer your questions on the flora and fauna you will encounter every day. All this might sound like a bit of a hassle to fit in with your trip to New Zealand, but Macs Adventure have you covered, with kit hire, buying you supplies for the week and of course providing all the maps and route notes you will need to navigate these outstanding trails.